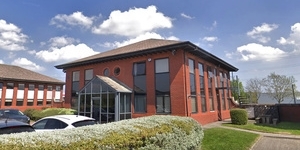 Balfour Court office development is ideally situated just off the main high street, Hough Lane in Leyland. The premises benefit from the town centre location with excellent local amenities nearby, including retail outlets and eateries. Asda supermarket is a short distance away and McDonalds restaurant is within a 4 minute walk. Leyland is a town in the South Ribble district of Preston. The property benefits from good transport links with Leyland Train Station on the West Coast main line only 8 minutes' walk away. Junction 28 of the M6 motorway is less than 1 mile away providing links to Preston to the north and Liverpool and Manchester to the south. 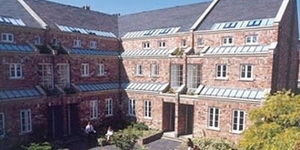 Balfour Court is a prestigious office scheme of self-contained individual suites, set around a landscaped courtyard. 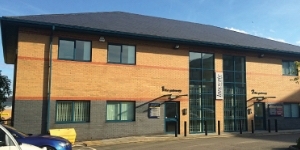 the town centre office building totals 12,088 sq ft and provides a range of high quality suites from 185 sq ft (2 persons) up to 2,979 sq ft which are available individually or combined. The offices benefit from shared facilities and are carpeted throughout, with LED lighting. 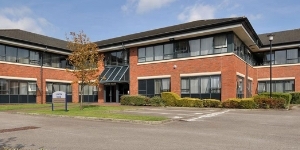 Externally the accommodation offers a good parking ratio with the courtyard to the front, and additional car parking available on the tarmacadam surfaced car park to the rear. 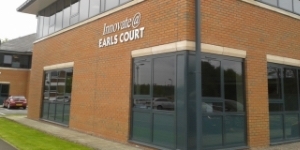 Innovate @ Balfour Court forms part of the larger office building and provides a range of smaller suites from 2 persons (185 sq ft) upwards incorporating an all-inclusive pricing structure, delivering the ideal solution for start-up and small businesses looking for high quality office premises in an excellent location. Charges for gas, water, electric, maintenance and service charge are all included in one monthly bill enabling you to concentrate on running your business, not the property. The EPC ratings on the available office suites range from B81 - D66. Copies of individual EPC's are available on request.